V7 Cat5e snagless molded network patch cables are designed to connect your computer with 10/100Base-T networks via cable modems, DSL routers, hubs, patch panels and other network equipment. 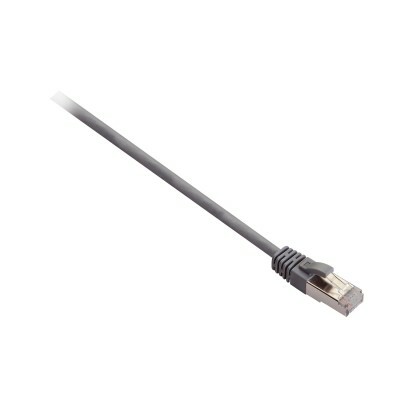 The V7 Cat5e patch cables are used to access high-speed networks and/or the Internet, as well as carry many other signals such as telephony and video. The cables feature snagless molded connector boots to provide strain relief and ensure a durable and solid connection. V7 Cat5e cables are available in a wide range of colors and lengths. -CAT5e UTP Patch Network Cable with 2xRJ45 plugs. -To connect a PC with a Network controller (e.g. DSL or LAN/Ethernet/ISDN Card) and hub, switch, router or RJ45 wall plates. -Suitable for all 10/100/1000 Mbps networks.